Daikin Philippines (DPH) has its goals set high for the next five years. 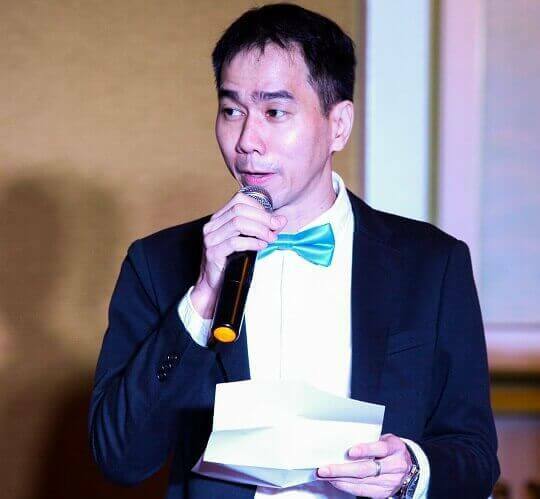 Led by its President, Lee Wai Kok, the company is confident that it can become the top air conditioning solutions provider in the country. Conforming with the Montreal Protocol, in which the country vowed to phase out refrigerants with ozone-depleting potential, such as R22, Daikin Philippines made the decision to phase out all its R22 products within the 2017 fiscal year, which is three years ahead of the government's 2020 target year. 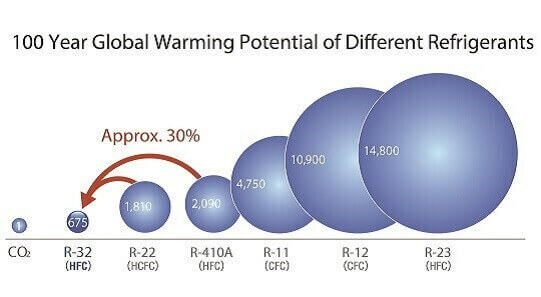 Daikin's R32 comparison with other refrigerants. Back in 2014, Daikin introduced the Urusara 7, which is said to be the first product using R32, a refrigerant superior in both environmental effects and cooling performance. Now, Daikin is replacing all of its products with environmentally-friendly refrigerants. Daikin is soon launching the Cooling King, a brand-new series of residential split air-conditioner that offers stronger cooling capacity with better energy efficiency. The new series is available in Standard and Premium lineups, and both of them will use the more eco-friendly R410A refrigerant, replacing the currently available old R22 in the market. Another significant characteristic is its lower sound level that can be as low as 23dBA. In addition, Daikin is also reinventing its Variable Refrigerant Volume (VRV) system with the Home Central Air Conditioning System. With this new technology, we'll soon be seeing a unified system that incorporates temperature, moisture, and air flow control, delivering the most comfortable cooling experience in each type of room in your house.